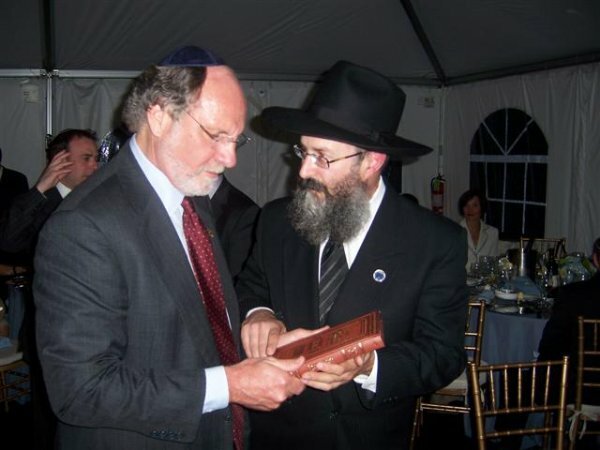 On the night after Passover, the Governor of New Jersey, Jon S. Corzine, invited a group of New Jersey's Jewish leaders to celebrate a post-Passover Seder at his residence in Drumthwacket, N.J. An entire Glatt Kosher Seder meal was elaborately prepared and a warm feeling pervaded through the evening. The Governor gave personal thanks to all the participants, and made note that he was especially thankful for all the prayers and wishes he received exactly one year ago during the Passover holiday when he was critically injured in an automobile accident. After the Passover readings and communal singing, the crowd was addressed by the Governor and numerous communal leaders. Rabbi Yosef Carlebach, director of Chabad House at Rutgers University, and central and south New Jersey, participated with his son, Rabbi Mendy Carlebach of South Brunswick Chabad. 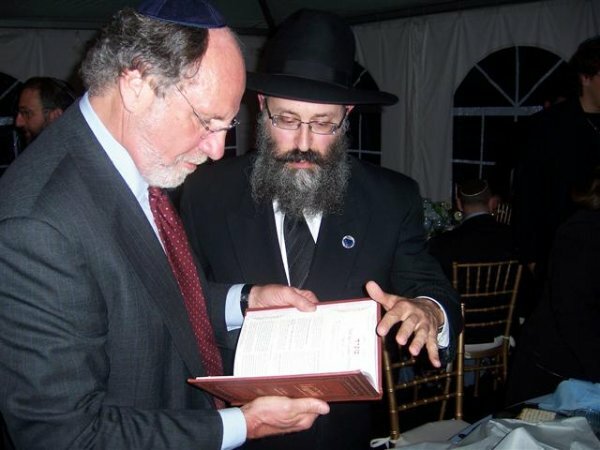 At the Seder, the Chabad Rabbis presented the Governor with the special leather bound new edition of The Kol Menachem Passover Haggadah, with commentary by the world leader, the Lubavitcher Rebbe, Rabbi Menachem M. Schneerson. 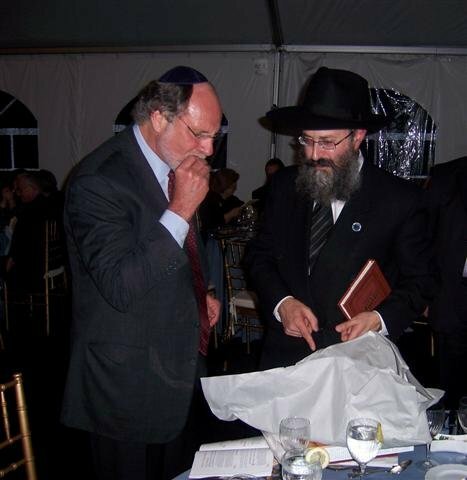 The Governor also participated in the eating of Shmurah Matzah.